This magnificently macabre new musical is created by Jersey Boys authors Marshall Brickman & Rick Elice, and features the quintessential family of odd-balls dealing with a child who has fallen in love with a sweet, smart young man from a respectable family. The horror!! 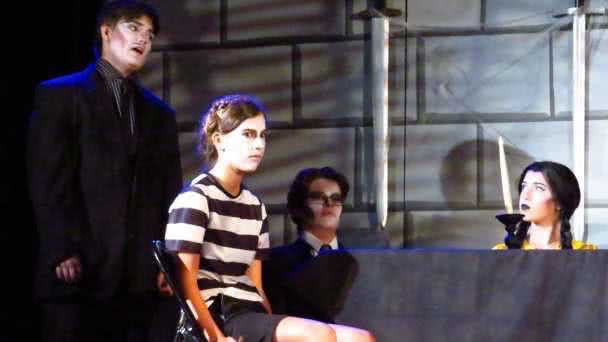 This magnificently macabre musical was created by Jersey Boys authors Marshall Brickman & Rick Elice, and featured the quintessential family of odd-balls dealing with a child who has fallen in love with a sweet, smart young man from a respectable family. The horror!! 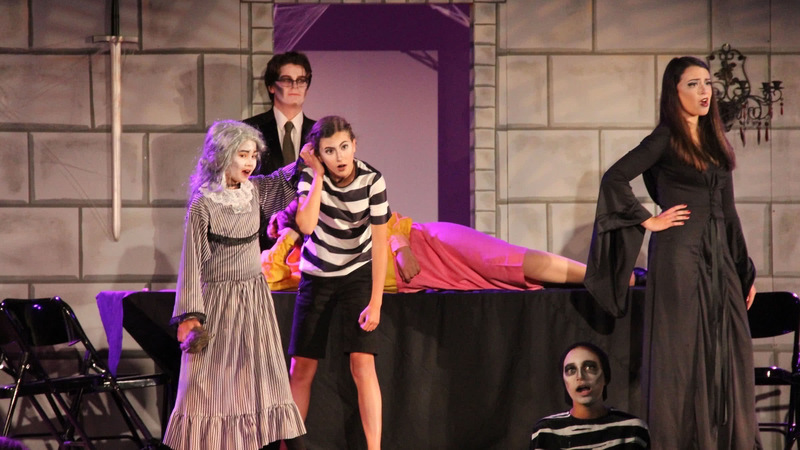 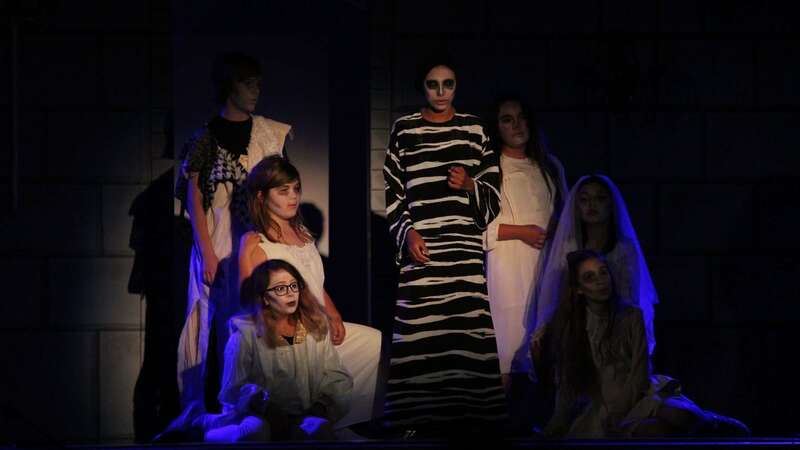 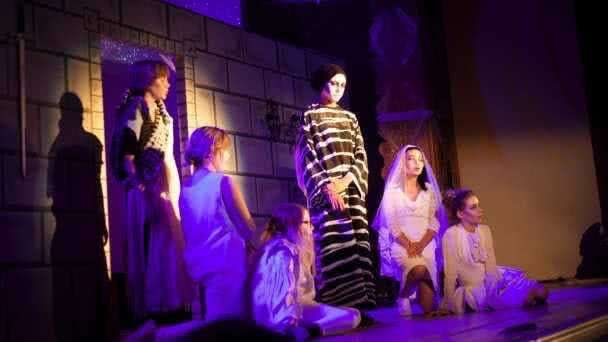 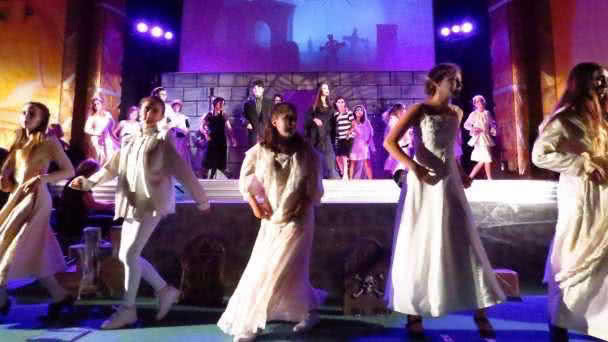 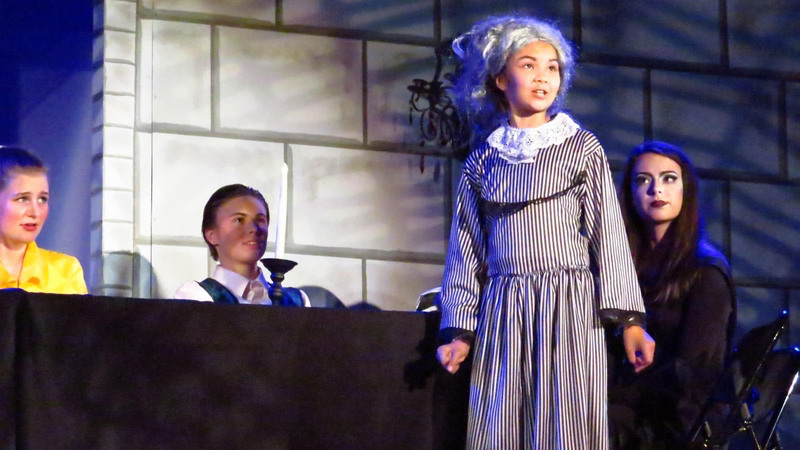 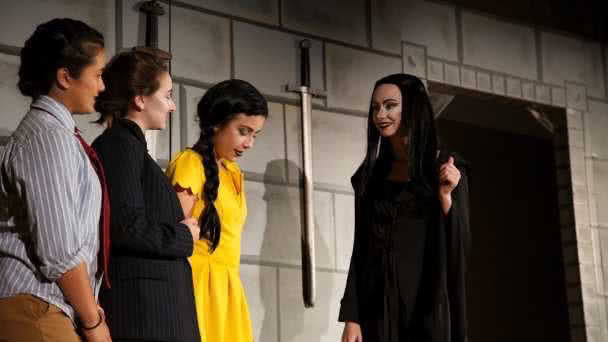 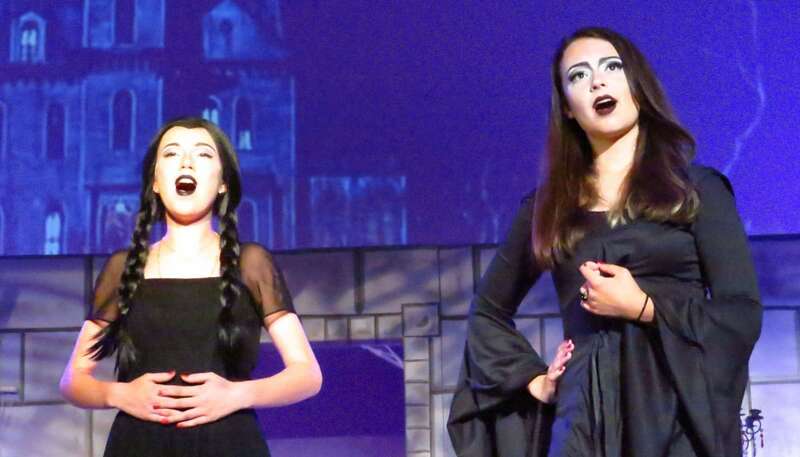 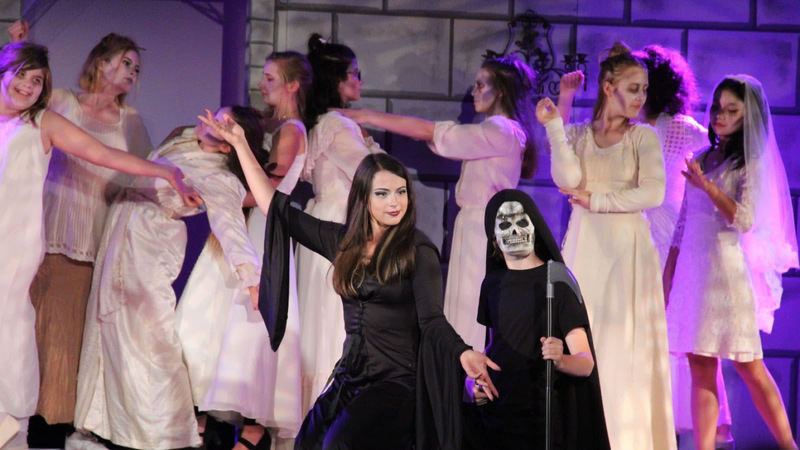 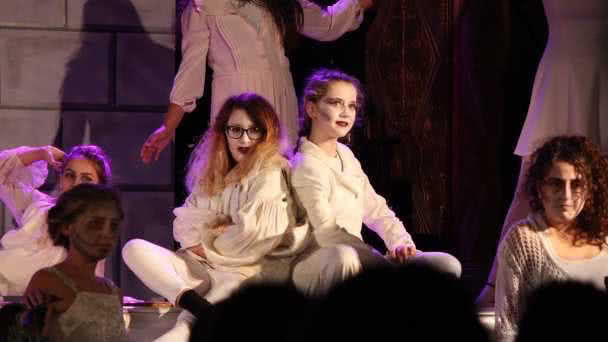 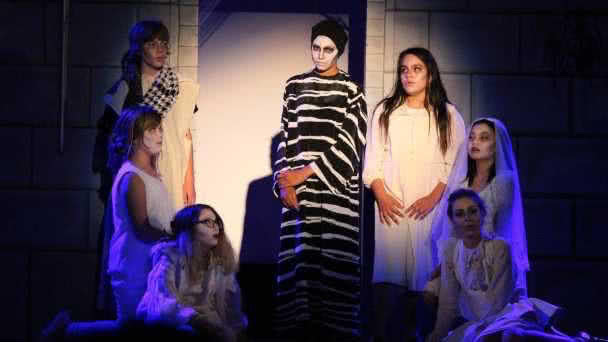 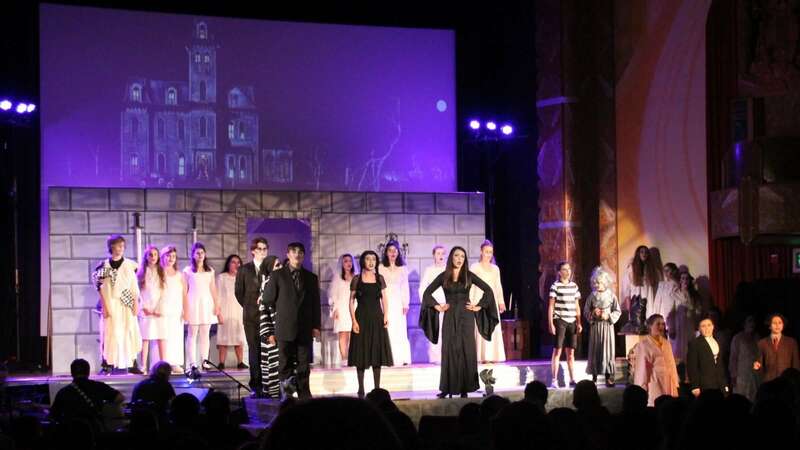 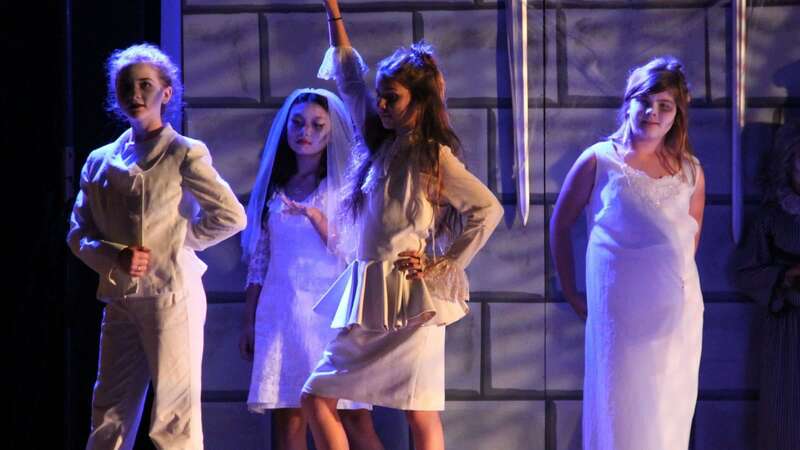 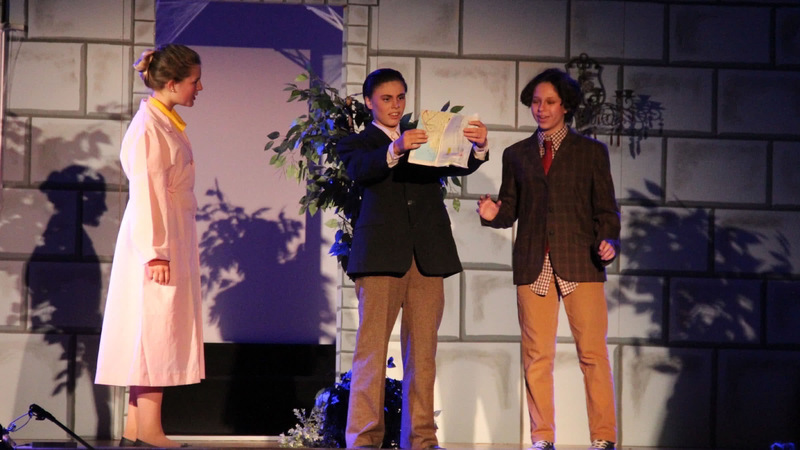 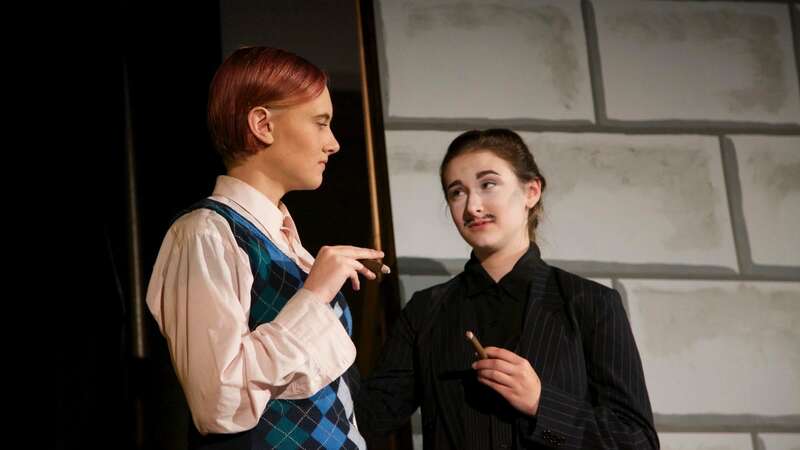 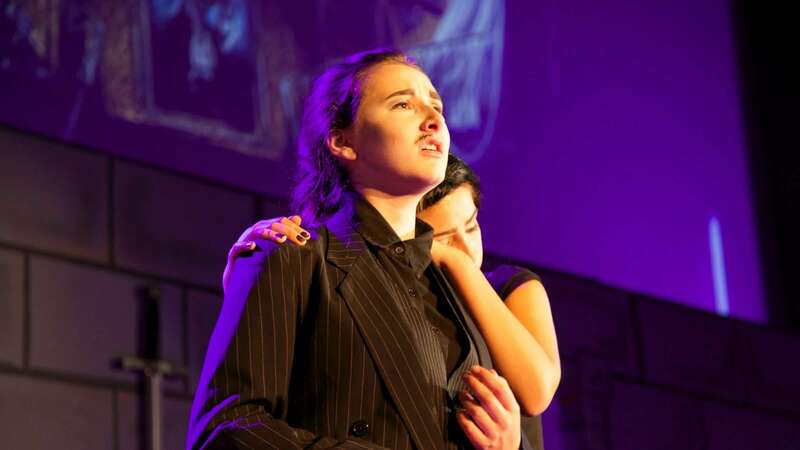 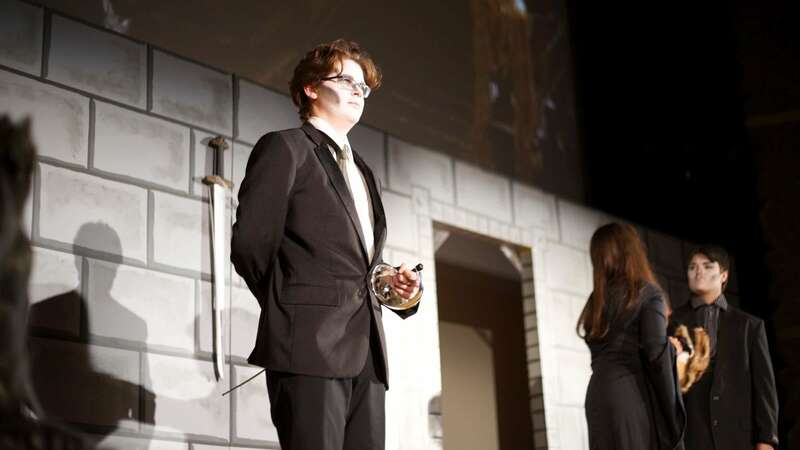 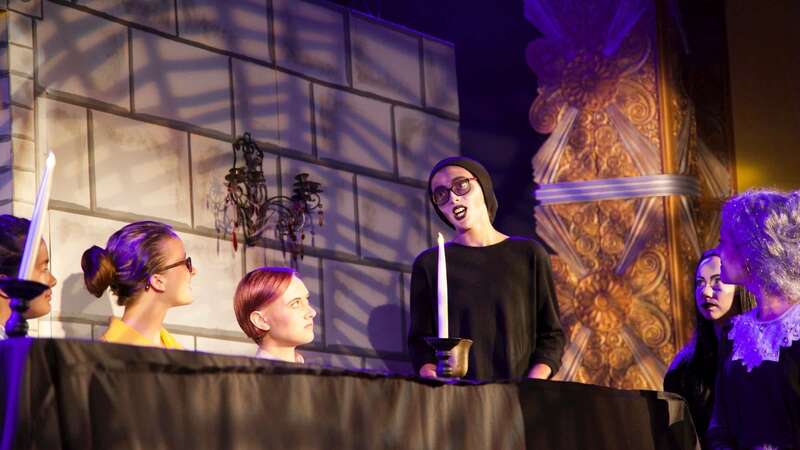 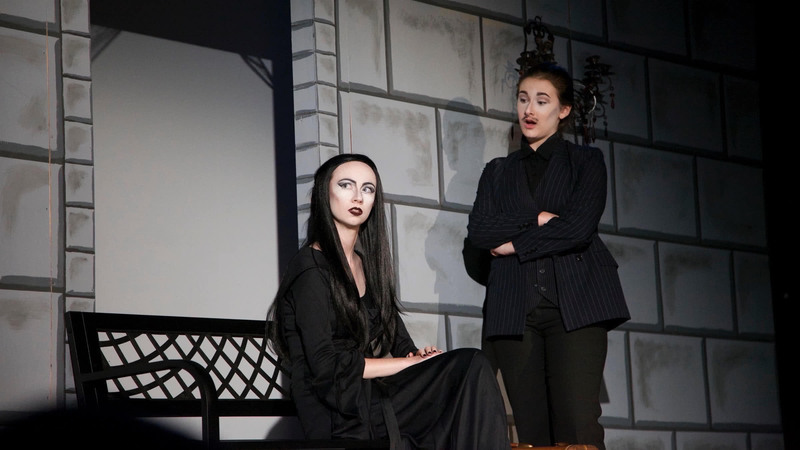 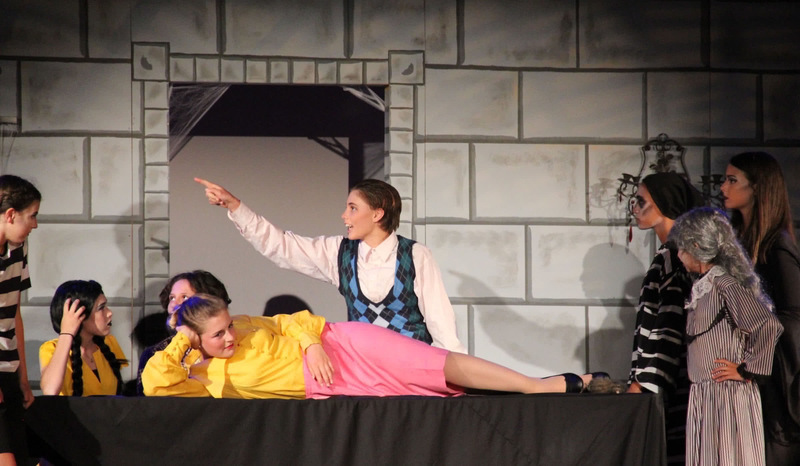 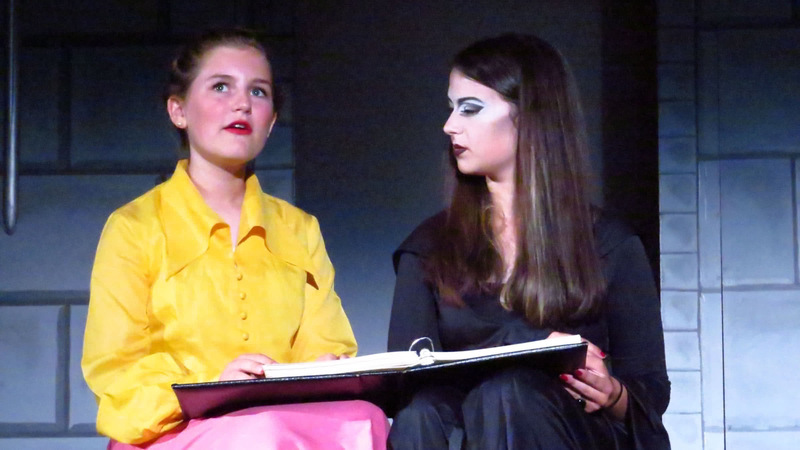 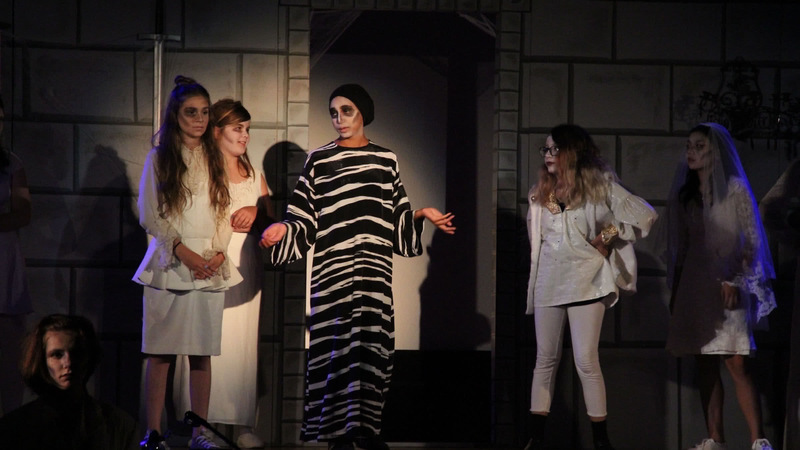 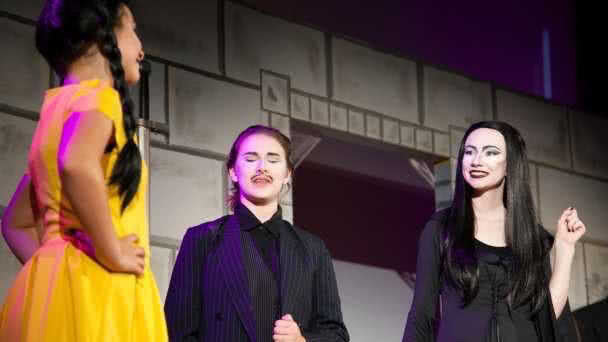 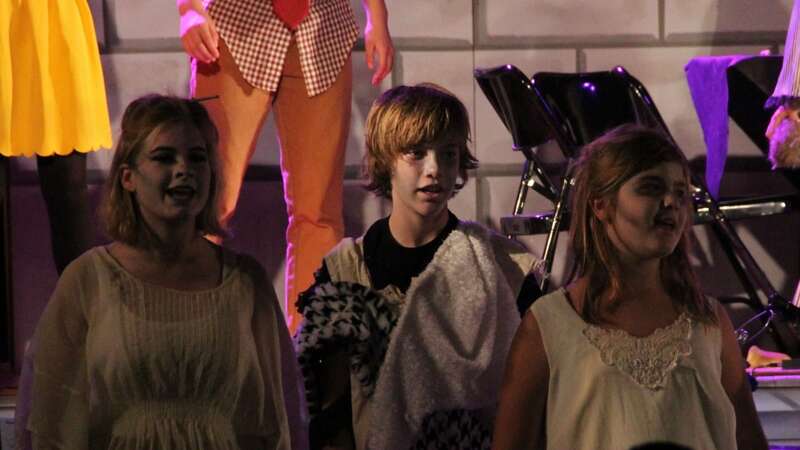 Our production of The Addams Family Musical was one of our best received, generating laughs throughout, and more sweetness than anyone had likely come in to expect from such a story. 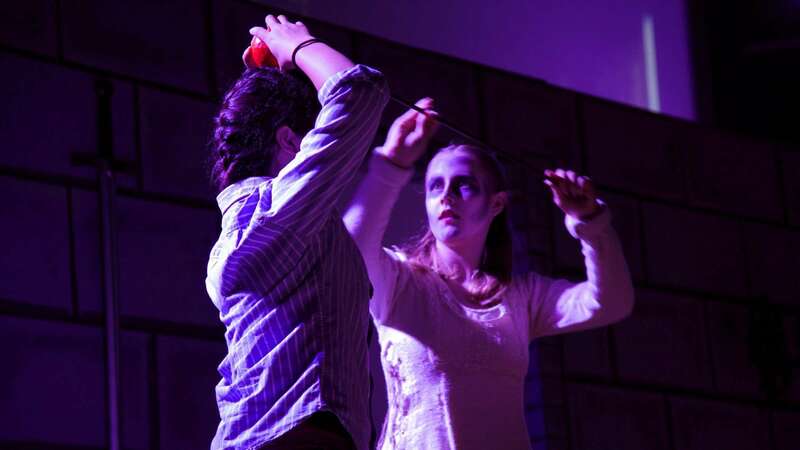 And students definitely enjoyed decking out the theater like a haunted house. 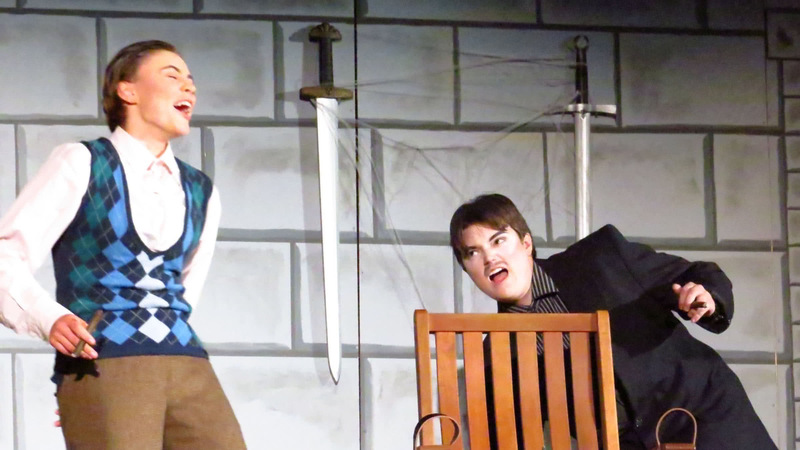 A lot of enthusiasm there!